Calling all Professionals, Managers and Executives (PMEs)! The National Trades Union Congress (NTUC) wants to make you a better leader. Happening 24 July 2015 (Friday) at NTUC Centre from 8 am to 7 pm, the Future Leaders Summit 2015 is the union movement’s effort to cater to the growing numbers of PMEs in its membership. Through the event, NTUC hopes to equip PMEs with leadership skills designed for the fast moving digital age. 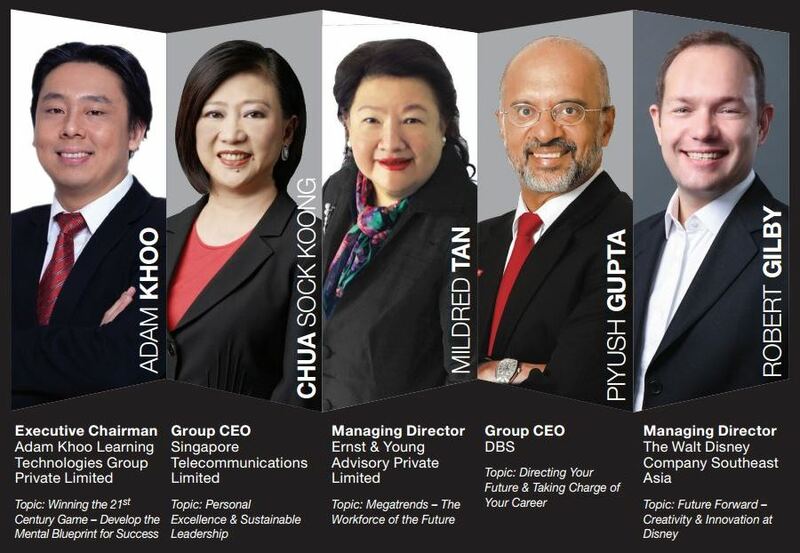 Featuring a stellar line-up of corporate big wigs like Chua Sock Koong (Group CEO of Singtel), Mildred Tan (Managing Director of Ernst and Young), Piyush Gupta (Group CEO of DBS), Liak Teng Lit (Group CEO of Alexandra Health Systems), and Robert Gilby (Managing Director, Walt Disney Company Southeast Asia), the one-day summit covers a wide range of personal and corporate leadership topics. They include creativity and innovation, personal branding, corporate reinvention, sustainable leadership, perspectives on the workforce of the future, as well as tips on schmoozing your way to success. You can view the full agenda for the event here. To find out more about the event, I posed some questions to Mr Vivek Kumar, Director of U Associate and Future Leaders Programme at NTUC. 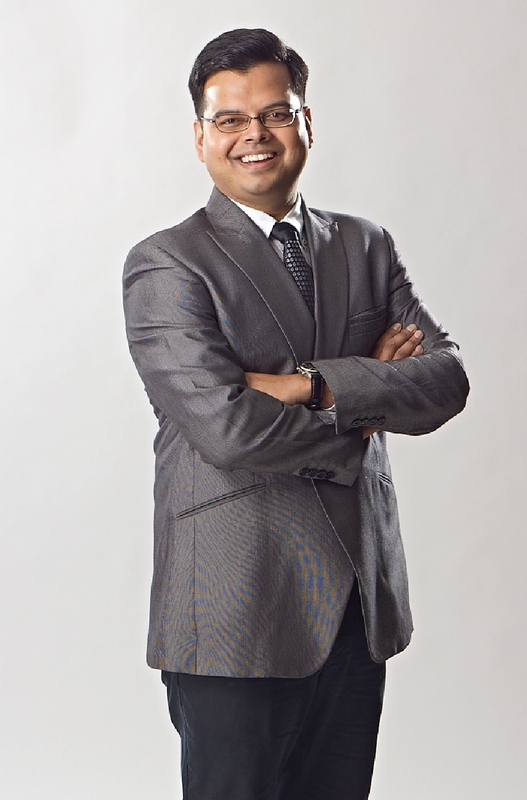 1) What inspired NTUC to organise the Future Leaders Summit? Wouldn’t an event like this be more suited for CEOs and senior managers than union members? Our main reason behind establishing the Future Leaders Summit in 2013 was to bring the experience of truly successful leaders in diverse fields to PMEs. We wanted them to hear directly from these leaders on how they persevered in the face of adversity and made the best use of both successes and failures to be where they are today. We believe that hearing from experienced leaders helps all our delegates gain perspectives – from the young employees to the mid-career professionals and even the C-Suite executives. It is relevant to anyone who is looking to grow in their careers, set up their own businesses in the future, or simply strive for excellence in their chosen fields. 2) How were the three tracks of Industry Leaders, Technology, and Inspiration decided upon? All the tracks at the Future Leaders Summit 2015 ladder up to the broader theme of Future-Ready Leadership. To ensure that topics discussed at the Future Leaders Summit 2015 remain relevant to our PMEs, we have also conducted surveys among delegates to find out what they want. In fact, a group of participants even came together to brainstorm on the topics for this year’s Summit. The Industry Leaders Track takes a leaf out of the books of leaders in established brands to understand how they are innovating ahead of the curve, how working in an established brand is a boon and bane at the same time, and their perspectives of the hallmarks of brands that are future ready and businesses that will continue to strengthen with time. The Technology Track is characterised by constant changes and big risk-taking. But one thing that seems to remain constant is the ‘challenger-mentality’ behind each success story. This track will draw from the wealth of experience of established names that have reinvented themselves over time, as well as the new entrants to the sector to understand the role of the ‘challenger mentality’ plays in Future- Ready Leadership. The Inspiration Track will focus on resilience as an essential driving force for future ready leadership. As the cycle of change becomes increasingly shorter in the work environment, and as the impact of these changes become even more acute, resilience is probably the only quality that guarantees success when the future is uncertain. 3) I noticed that most of the talks were focused on personal leadership areas like character development, creativity, resilience and values. Would there be resources for individuals who wish to embark on their own personal leadership journeys after the summit? Future Leaders Summit: Addresses issues facing PMEs and equips them with the necessary tips and know-hows to be future ready. Future Leaders Series: These are sector and skill specific sessions, such as innovation, engineering, HR, negotiation skills, communications etc. Future Leaders Mentorship Sessions: Industry leaders conduct mentoring sessions in a small group setting behind closed doors. In addition, we also have the Union Training Assistance Programme (UTAP) grant of up to $250 every year for every NTUC member, which they could use on hundreds of courses to upgrade themselves or even develop a new skill. 4) Who do you see as the main target audiences for such an event? Are there any specific band of PMEs whom NTUC is gunning for? We launched the Future Leaders Programme as a broad-based scheme catered to PMEs across all industries and sectors. We have other programmes such as the U Associate initiative which will focus on sectoral development, which is part of our larger PME blueprint. There are over 285,000 PMEs within the NTUC membership pool, so this is definitely designed to cater to them. However, we hope to also reach out to other PMEs who can benefit from this programme. We also see both young PMEs as well as mid-career professionals joining our programmes. 5) These days, younger PMEs are moving on very quickly from their jobs, leaving barely a year or two after they have joined a new organisation. Does NTUC see this as an issue that needs to be tackled on a national level? Younger PMEs are part of a generation that is passionate and want to make a difference wherever they are, especially within their organisations. The challenge is to inspire them and keep them engaged and ensure that they recognise that they can make a difference in their organisations. Beyond engagement and motivation, it is also critical to train and equip young PMEs. This observation was echoed at the Future Leaders Summit in 2014 by Mr Liew Mun Leong (CEO of Surbana), who shared that it is very important to develop our skill sets and capabilities when we are young. Programmes such as the Future Leaders Programme, which is part of our larger blueprint for PMEs in Singapore, will give PMEs a chance not just to improve their technical skills, but also develop soft skills such as management strategies and effective communications. We have also partnered leading professional associations under the U Associate programme to roll out initiatives like the Young Engineers Leadership Programme. This allows young PMEs to have access to a well-structured programme supporting their growth within their organisations. We are also committed to support HR professionals to equip them to better help their employees and colleagues develop a progressive career, a sense of purpose and belonging at their workplace, and retain talent. To that end, we’re working with partners such as ASME, OTCi, e2i, SHRI etc. to develop relevant programmes for HR practitioners. 6) What are your personal perspectives on leadership? What words of advice would you give to a young PME keen to make a difference in his career? I believe that there are three basic qualities that PMEs should seek to develop. Firstly, excel at personal branding, instead of self-promotion. Personal branding is larger than merely self-promotion; it is about knowing one’s true value and seeing the different ways one can put that value to use within any organisation or cause. In an economy where talent is currency, personal branding helps executives and managers across all levels to think about their skill set in a more precise manner. It also helps them find second skills and right opportunities not just within an organisation, but across different sectors, ensuring that they stay relevant. The second quality is resilience. While many great leaders espouse resilience, it will become a prerequisite in the new world order. Last but not least, PMEs who embody the challenger mindset will find themselves being able to stay ahead of the change curve. Being entrepreneurial, innovative and having an appetite for risk, will prepare PMEs for the ever-changing global economy. 7) Finally, any last words/pitch to PMEs on why they should come for this summit? To succeed, we must learn from our successes and failures. However, it doesn’t always have to be on the long and hard way. We can definitely enhance our learning from veterans who have taken the path before us, and are willing to share these lessons with us. Register for the Future Leaders Summit 2015 here (NTUC members only pay $125 while members of the public pay $250).